3rd Party Lenses are lenses that importers such as Vivitar and Soligor in the USA or Hanimex in Australia commissioned to mostly Japanese companies. Tokina (Tomioka), Tōkyō Kōgaku, Komine, Komura, Makinon and Chinon manufactured lenses that were rebranded and sold under different names. There isn't much information regarding all 3rd party companies, but sometimes similarities in design, such as the Soligor/Makinon lenses may indicate their origin. There are also some serial numbers on the net that suggest the origin of Vivitar and Soligor lenses. Example, Soligor lenses: 1 – made by Tokina, 2, 3, 4 – made by Sun, 6 – Komine made. 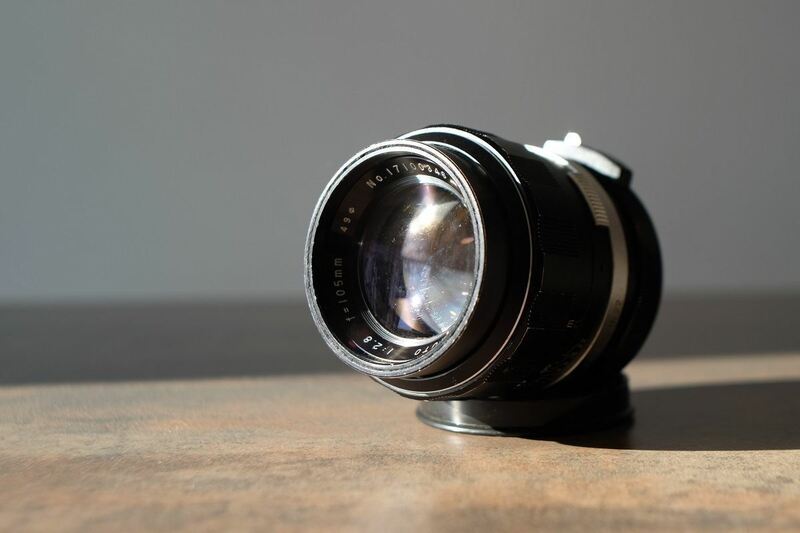 You'll also notice that the 55mm f1.4 auto Revuenon and the 55mm f1.4 auto Chinon MC are a close match in terms of exterior design and have similar performance. 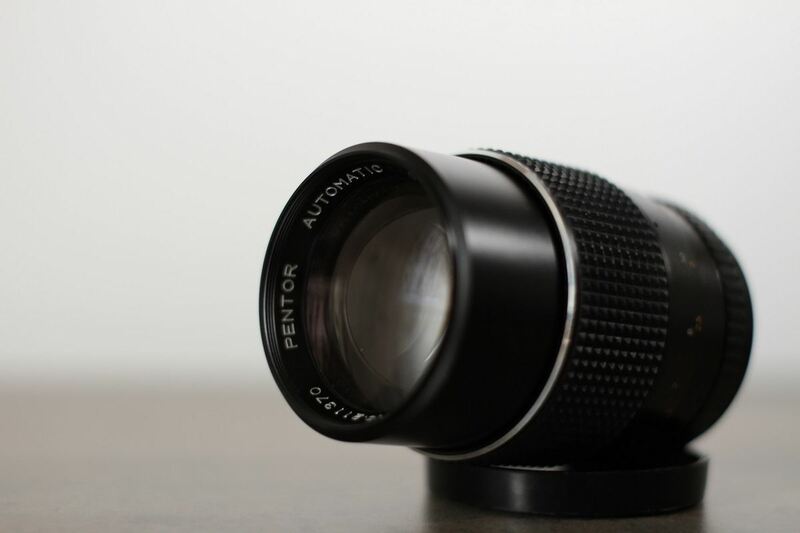 Another interesting is example is Pentor, which rebranded Praktica 35mm cameras, such as the Pentor Super TL, while Pentor lenses are made in Japan. 1st picture: the 105mm f2.5 Accura Diamantic YS with the M42 mount. 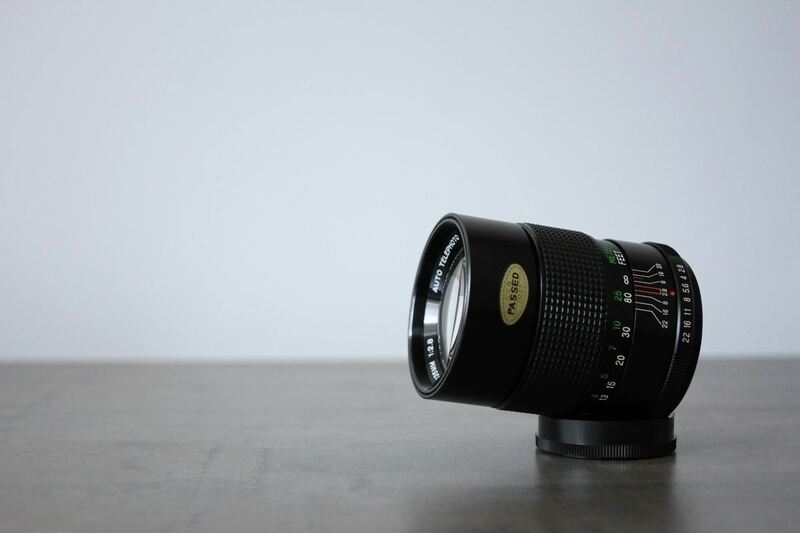 It has a minimum focusing distance of 1.1m, it weighs around 400g and uses a 52mm filter. 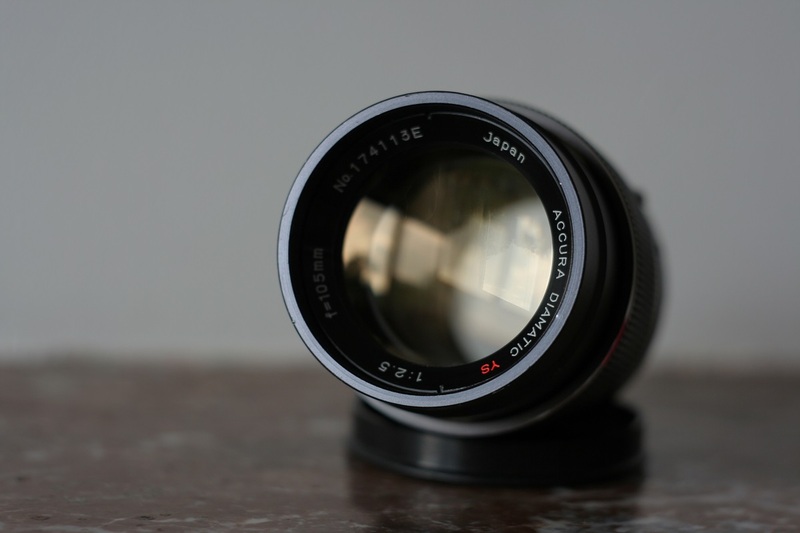 1st picture: the 28mm f2.8 Coslinar Auto MC has a minimum focusing distance of 0.3m, it weighs 192g and uses a 49mm filter. 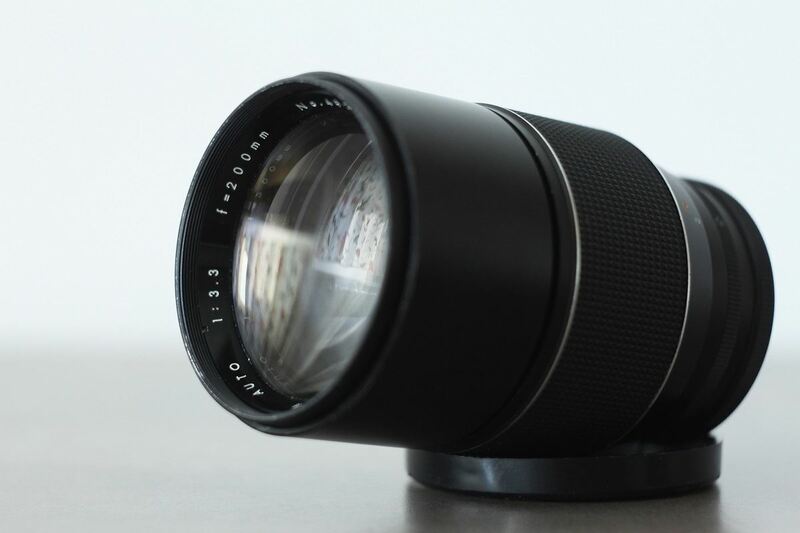 2nd picture: the 70-150mm f3.8 MC Coslinar Auto Zoom has a mfd of 1,5m, it weighs 500g and uses a 55mm filter. 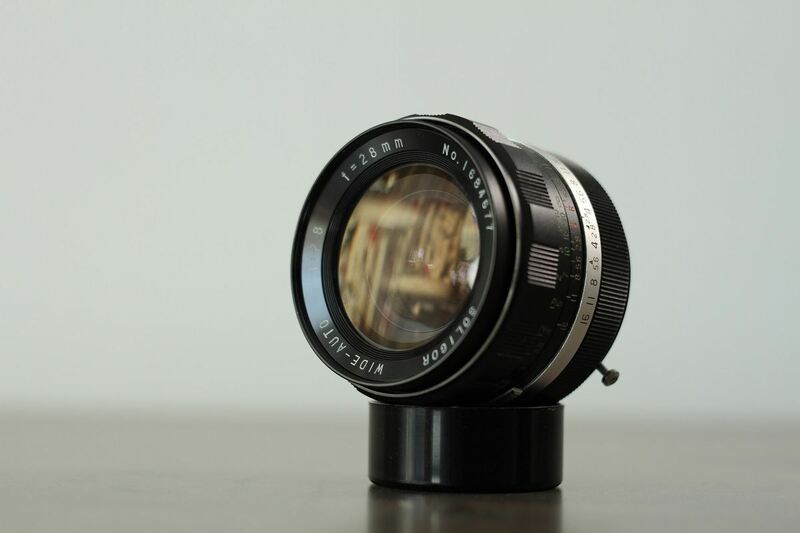 3rd picture: the 135mm f2.8 Coslinar Auto MC has a mfd of 1.5m, it weighs 330g and uses a 52mm filter. 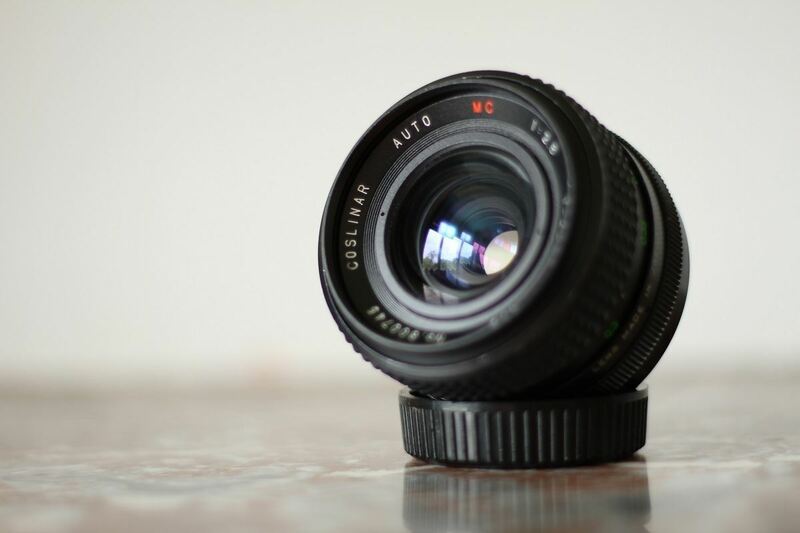 1st picture: the 35mm f2.8 Pentor Auto has a minimum focusing distance of 0.5m, it weighs 200g and uses a 52mm filter. 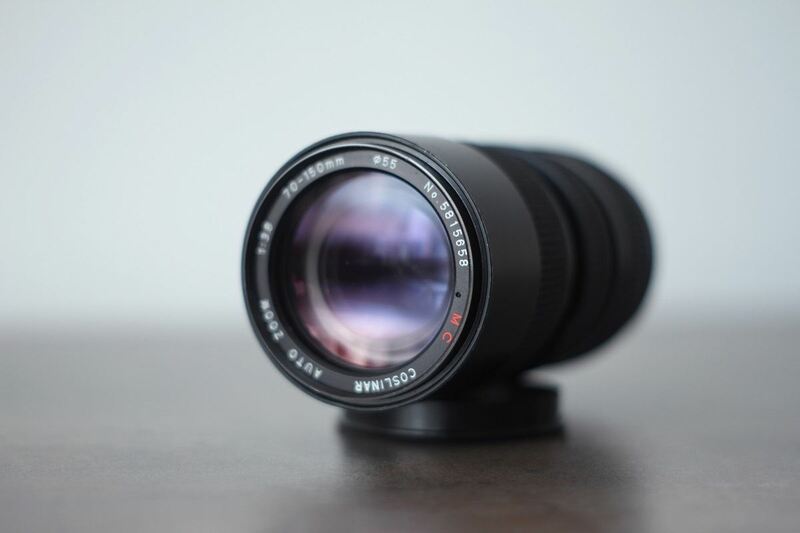 2nd picture: the 135mm f2.8 Pentor Auto has a mfd of 2.5m, it weighs 400g and uses a 55mm filter. 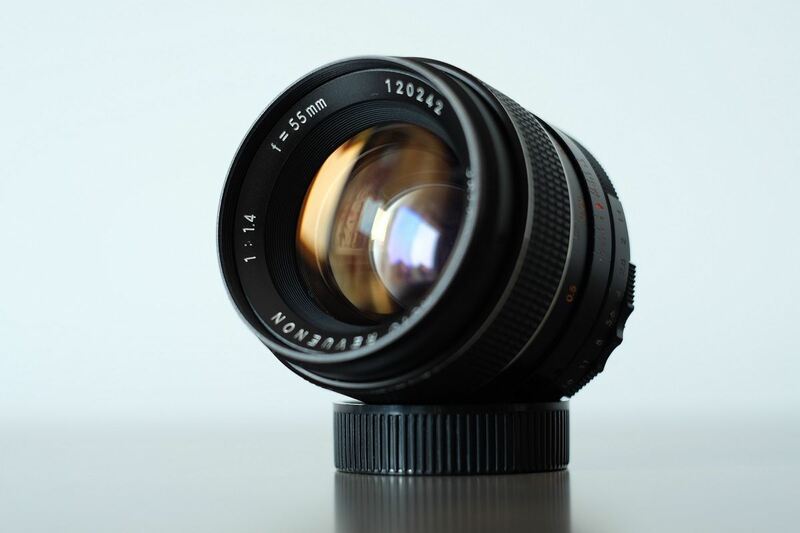 The 55mm f1.4 Revuenon Auto has minimum focusing distance of 0.5m, weighs 298g and uses a 55mm filter. The 200mm f3.3 Rexatar Auto has a minimum focusing distance of 3m, it weighs 630g and uses a 67mm filter. 1st picture: the 28mm f2.8 Soligor Wide-Angle has a minimum focusing distance of 0.3m, it weighs 250g and uses a 58mm filter. 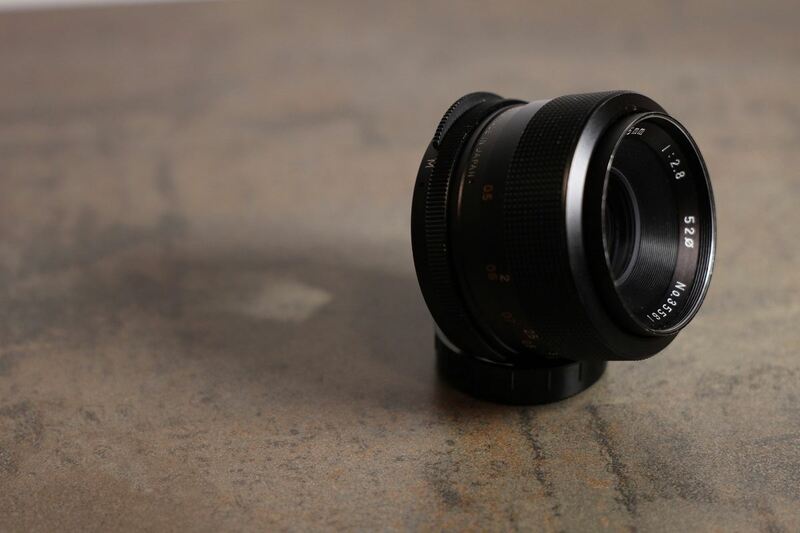 2nd picture: the 28mm f2.8 Soligor Wide-Auto has a mfd of 0.45m and uses a 58mm filter. 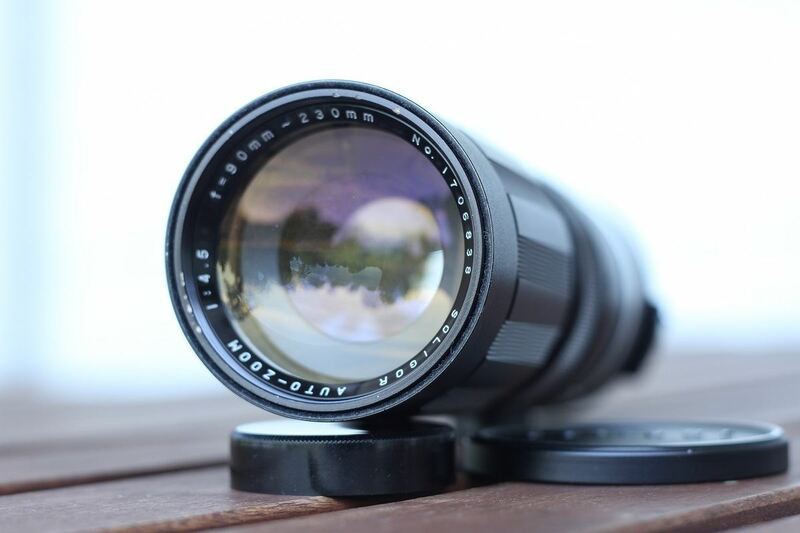 3rd picture: the 90-230mm f4.5 Soligor Auto-Zoom has a mfd of 2.5m and uses a 58mm filter. The lens has an integrated sun-cap. 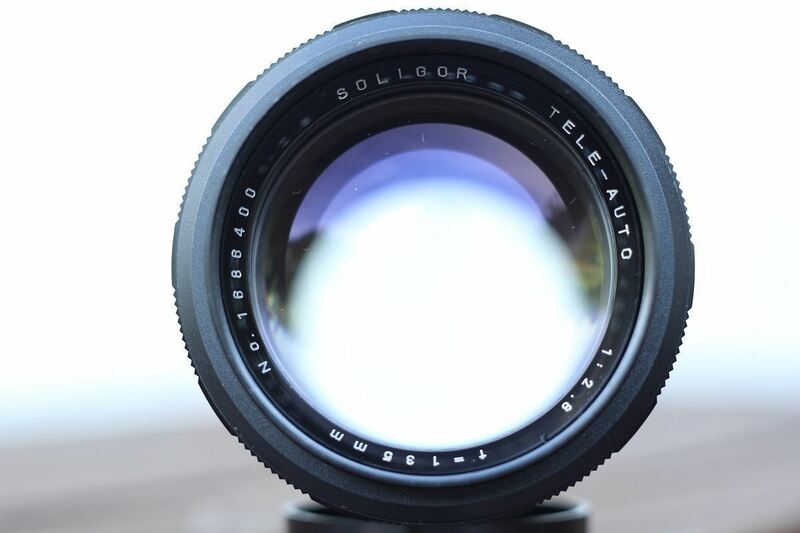 4th picture: the 105mm f2.8 Soligor Tele-Auto has a mfd of 1.5m, it weighs 330g and uses a 58mm filter. 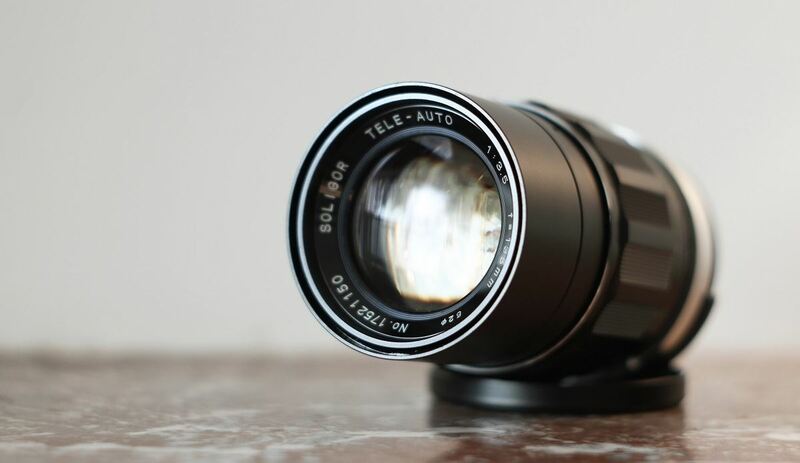 5th picture: the 135mm f2.8 Soligor Tele-Auto has a mfd of 1.8m and uses a 55mm filter. 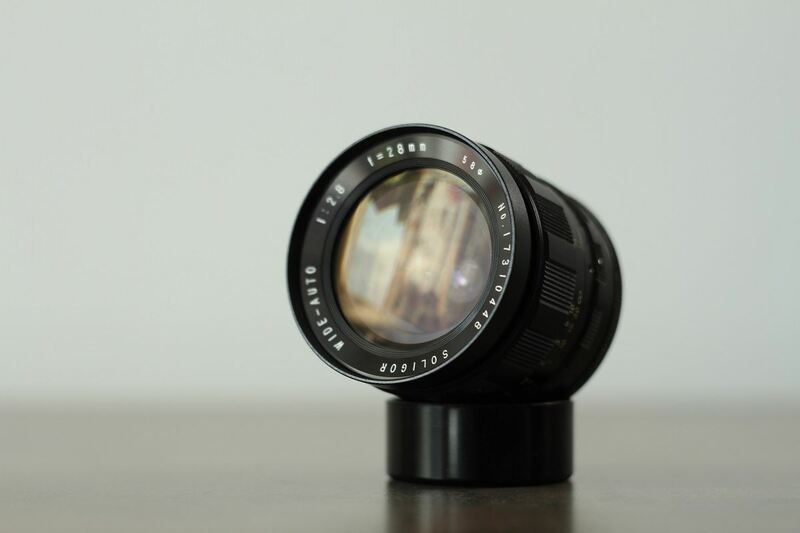 6th picture: the 135mm f3.5 Soligor Tele-Auto has a mfd of 1.5m and uses a 52mm filter. The lens has an integrated sun-cap. 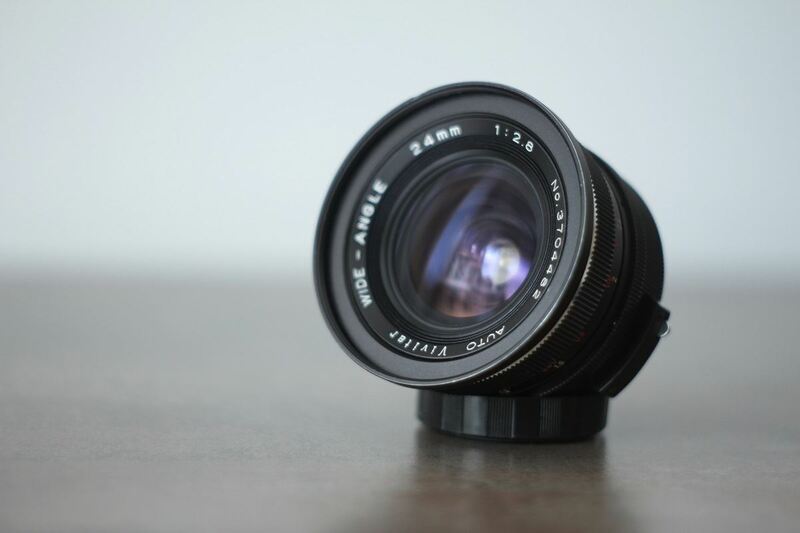 1st picture: the 24mm f2.8 Vivitar Wide Angle has a minimum focusing distance of 0.3m and uses a 67mm filter. 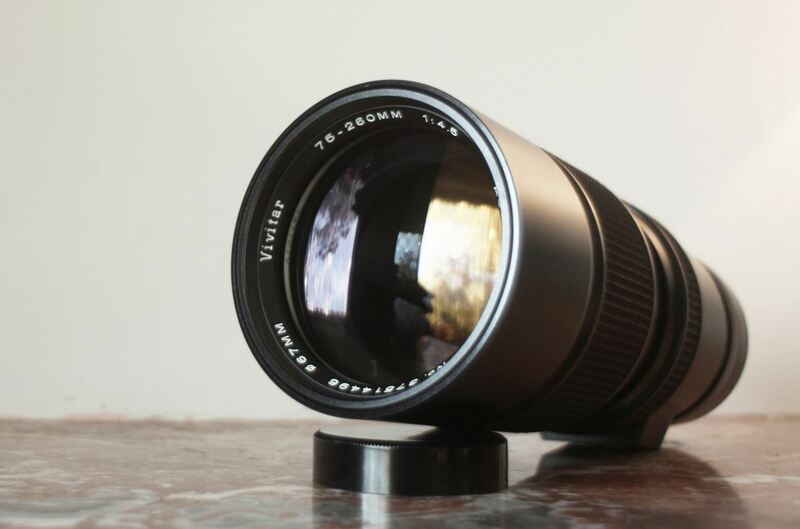 2nd picture: the 75-260mm f4.5 Vivitar Auto Zoom has a mfd of 2m and uses a 67mm filter. 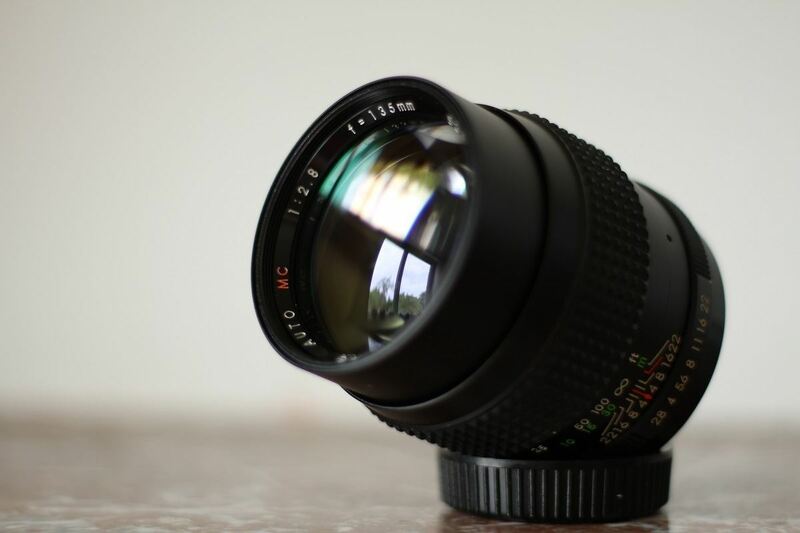 3rd picture: the 135mm f2.8 Vivitar Auto Telephoto has a mfd of 1.5m, it weighs 360g and uses a 55mm filter.